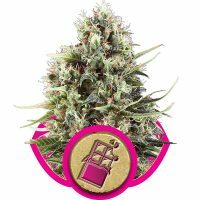 Royal Queen Seeds Blue Cheese female Seeds produce a Medium sized cannabis plant with a High (15-20%) THC content, Photoperiod genetics and a flowering time of 7-8 weeks. 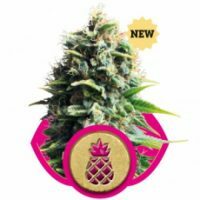 Blue Cheese female Seeds has a genetic makeup of Original Cheese x Oregon Blueberry Blend and can produce yields of 450-500 gr/m2. 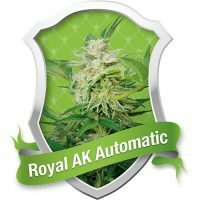 Buy Royal Queen Seeds Blue Cheese female Seeds at the lowest price online now! 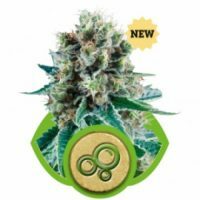 It took finest Blueberry from Royal Queen Seeds strains to equal the awesome flavour of the Cheese, and the two together have created an ultimate hybrid. After the original crossing she was backcrossed with the Cheese to stabilise the genetics and perfect the taste and effect of this strain. 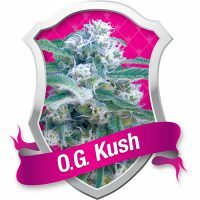 Blue Cheese typically takes around 60 to 65 days to complete her flowering period. 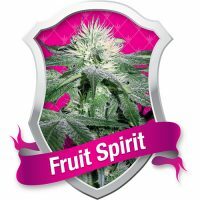 The sweet, fruity Cheese aroma starts to develop just a few weeks after the start of flowering and continues to develop and intensify as the plant matures. Most plants will reach a height of around 80 to 140 cm. 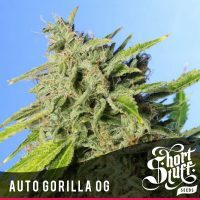 When grown outdoors she can grow a little taller and will be ready for harvest at the end of September. Good growers will find they get equally good yields – you can expect an easy average of 500 to 600 grams per square metre. The only down side of Blue Cheese is the slightly above average leaf-to-flower ratio, meaning she will be a little harder to trim. However this little bit of extra work more than pays off on the end product. The flavour of this strain is the perfect blend of its parent’s genetics. The sweet, fruity flavour of the Blueberry perfectly compliments the earthy, musky flavour of the Cheese. 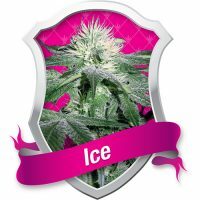 The buds are extremely dense and, when grown properly, are covered with a thick layer of trichomes.